By Hongkiat Lim in Web Design. Updated on September 6, 2018 . When it comes to building your website with the most perfect design and usability, web templates always come in handy. These ready-made web themes take the pain out of creating a website from scratch and come with all sorts of useful and advanced features. 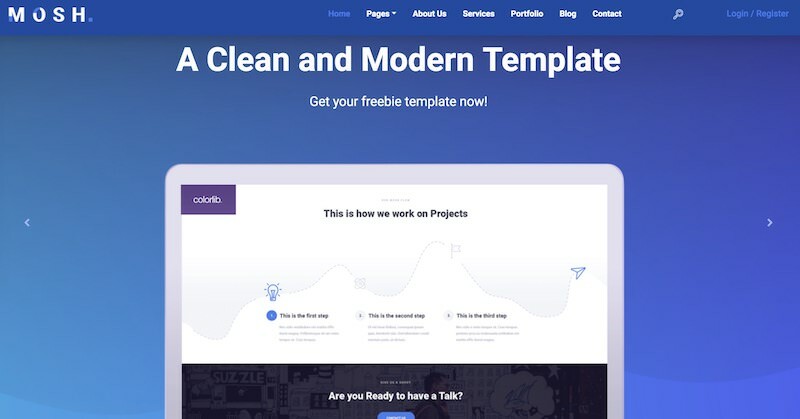 To help you make the best choice among a gamut of different web templates, here are 50 of the best, free and high quality website templates that you can download and customize for your own use. Check the following list for a brief detail on each template. App Starter is a multi-colored, single-page web theme, which works well to publicise your web or mobile applications. It consists of six modifiable sections on its page. Appy, a single-page template that comes with a modern web design. This theme is well-suited for designing websites for mobile and web-based applications. 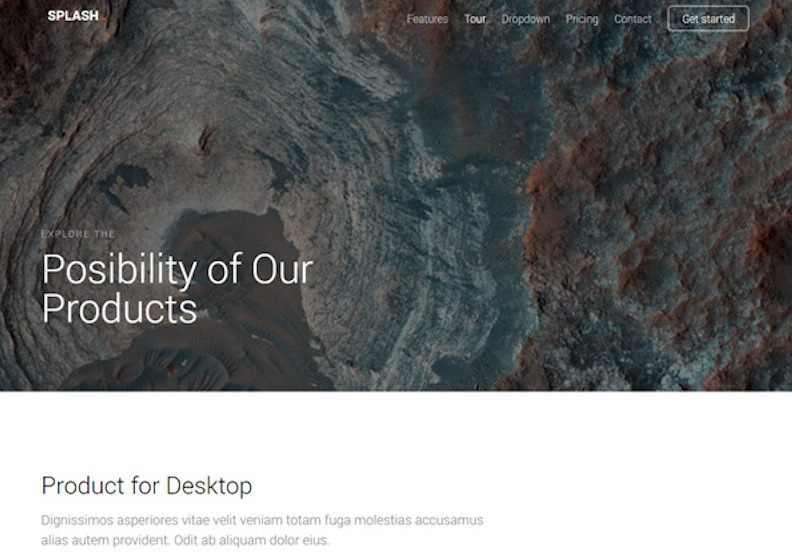 Asymmetry is a web template for creating business and portfolio websites. Though it is a single-page theme yet it offers many features like an image slider, a counter, etc. Avana is a responsive template, which is suitable for building websites for agency or creative portfolios. It also works well to showcase photos, videos, and more. 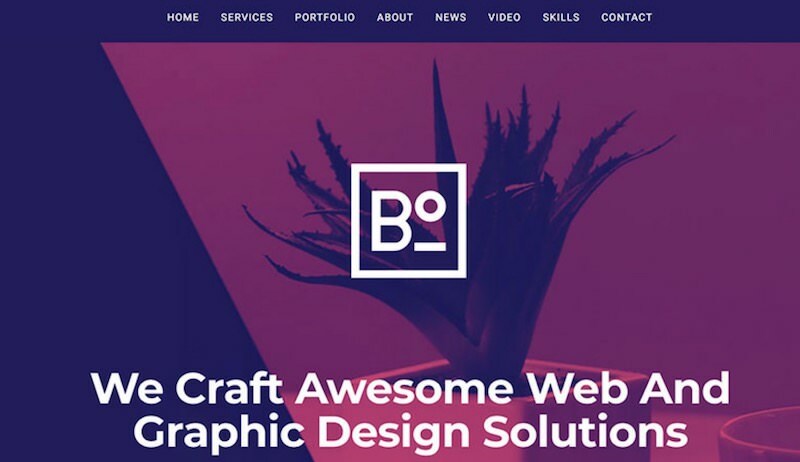 Bow is a retina-ready web template, which is suitable for creating all types of business websites. It offers features like drop-down menu, beautiful animation effects, etc. Boxus is a colorful template for agencies of all types. It has a unique design that makes your website look phenomenal, and you can highlight sections to gain attention. Broadcast is a video gallery template with a large video banner. This responsive theme is available in multiple colors and avails sections to showcase projects and more. CA App Landing is a modern landing page template for promoting mobile applications. It is also suitable for other products and includes pricing table, contact form, etc. 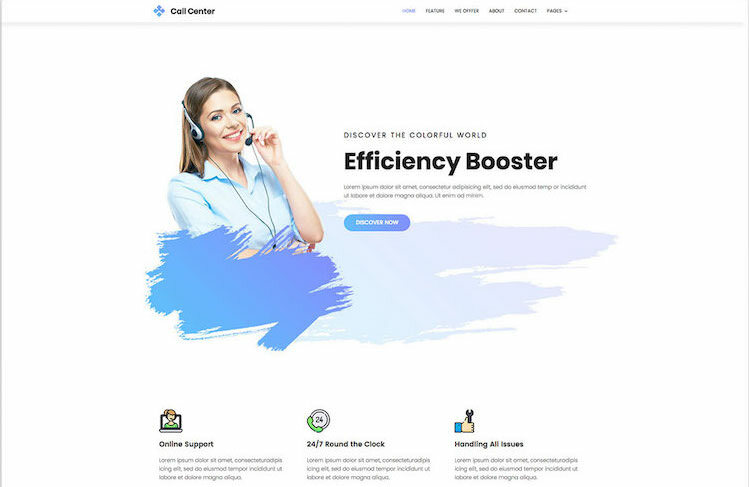 CallCenter is the latest multi-colored, one-page web template to create a business or consulting firm’s website. I liked its clean and minimalistic design template. Casablanca is a one-page template to provide projects and team info, contact form, and more sections. Also, it is mobile-friendly and shows smooth scrolling effects. Creative Agency is a mobile-friendly template with a banner followed by sections for showcasing services and work portfolio. It is suitable for building agency sites. 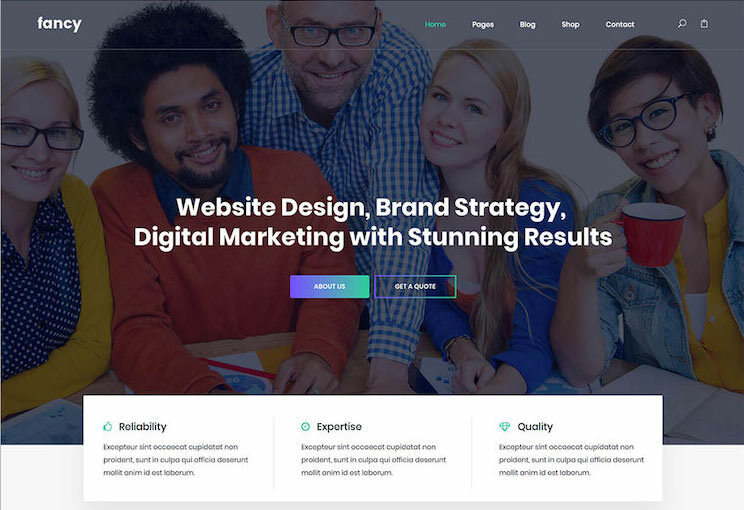 Datarc is a professional-looking website template for creative offices, digital firms, and technocrats. It has many sections for portfolios, pricing tables, contact form, etc. 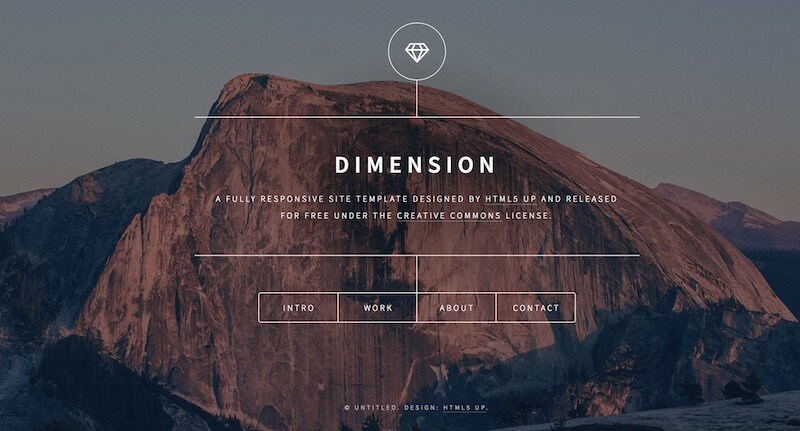 Dimension is a responsive template for creating sites with beautiful effects. Its front page supports full-screen image and works well for making agency websites. 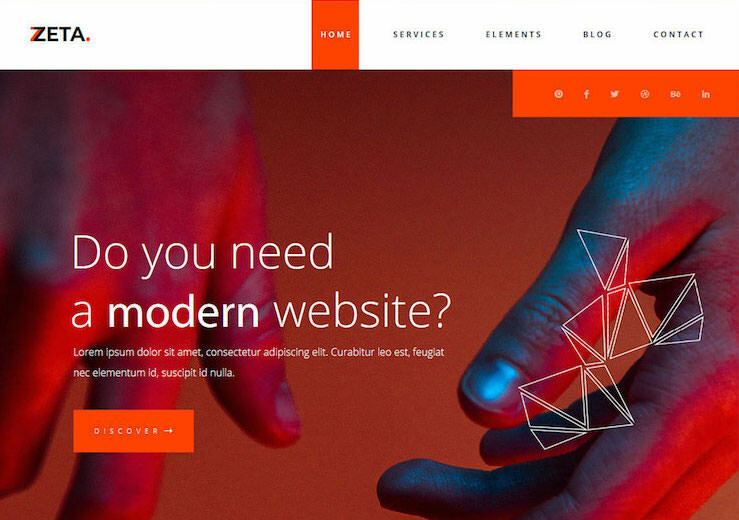 Drimo is a feature-packed template with eleven homepage designs. It works best to create websites for showcasing applications, hosting services, gadgets, and more. Dup is a website template for creative agencies, professionals as well as businesses. Its homepage has eight sections and a stunning burger menu in the top corner. 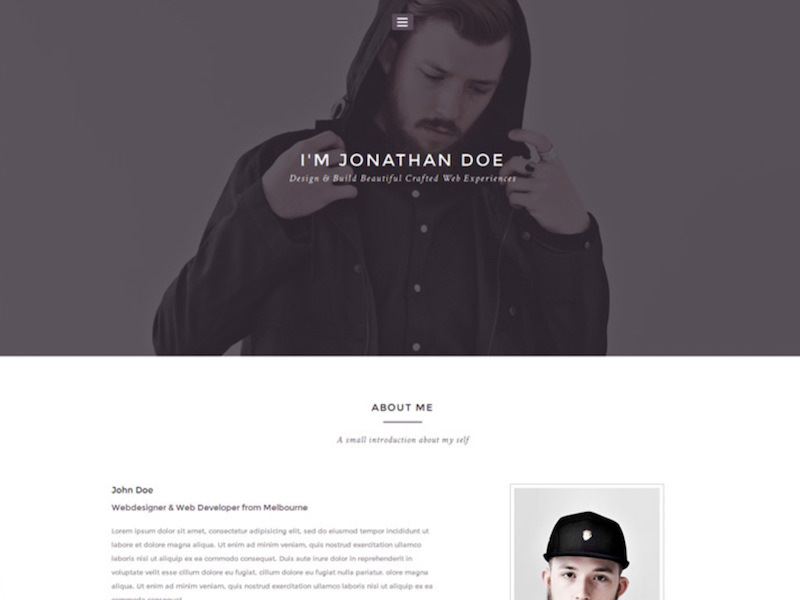 Elevate is a responsive template with a modern and professional design. 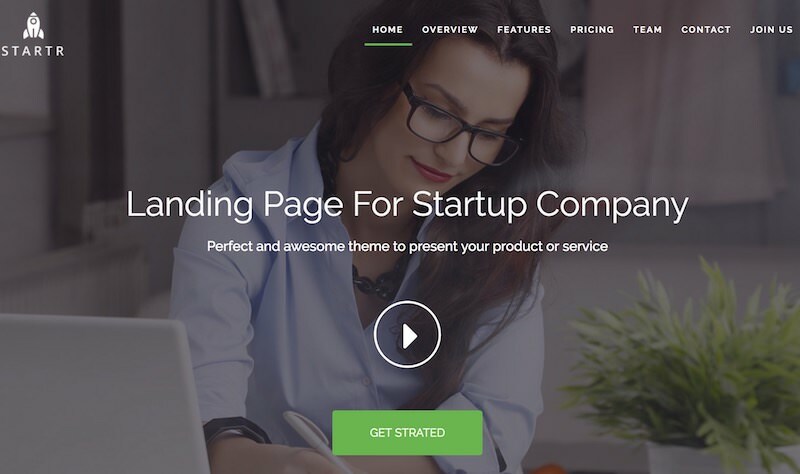 This landing page template is retina-ready and packs in several web fonts and many integrations. 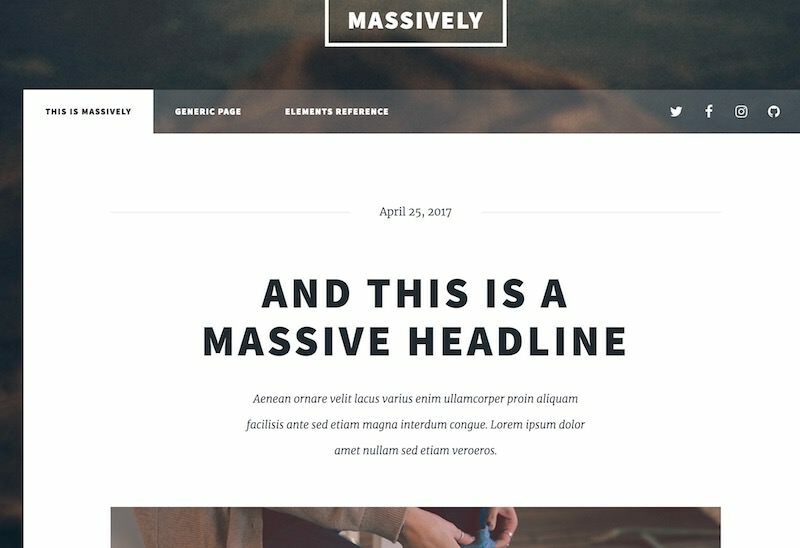 Fancy is a business website template with a wide text slider, skills section, testimonials section, and much more. Along with the front page, it has templates for inner pages. 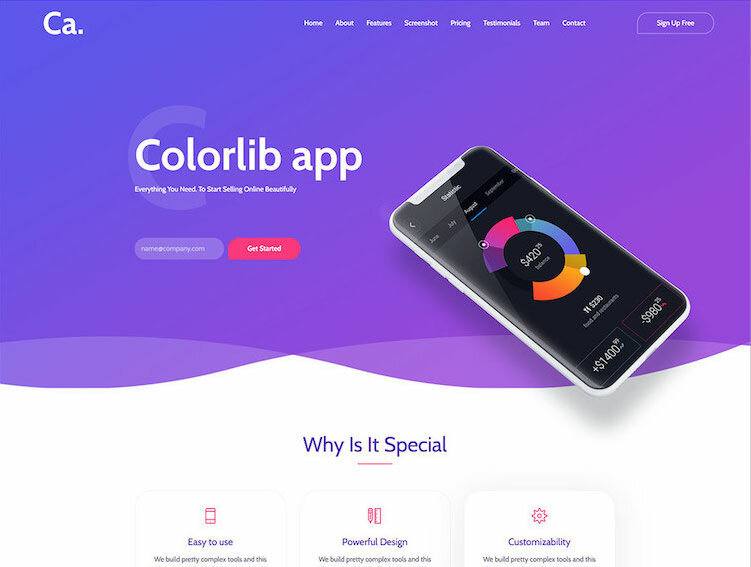 Folio is a responsive one-page template with filterable portfolio, contact form, scrolling animations, and modern design. It works best to create a personal or portfolio site. 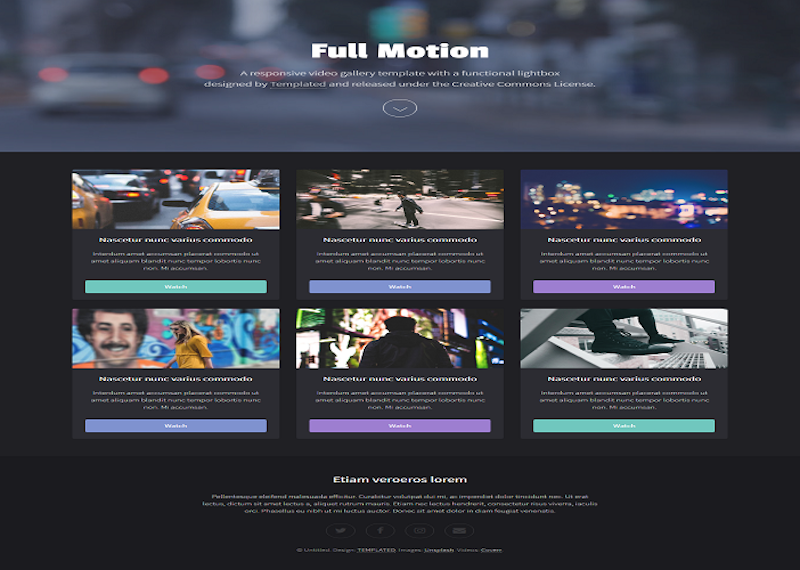 Full Motion is a responsive video gallery template, which comes with three beautiful homepage templates, font icons, and a clean design that works for any website. Garler is a responsive photography template with multiple features such as integrated drop-down menu, full-screen layout, and social icons. I liked its clean layout. 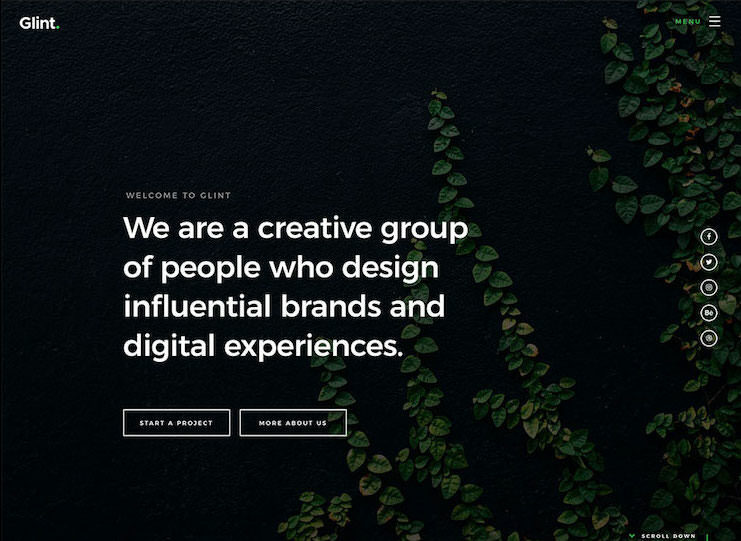 Glint is a stylish template for creative agency, photographers, or professionals. Its retina-ready and comes with a contact form, portfolio section, and many more features. Honest is a responsive website template, which is suitable for creating websites for online agencies. It has sections for services, portfolio, blog posts, and contact info. 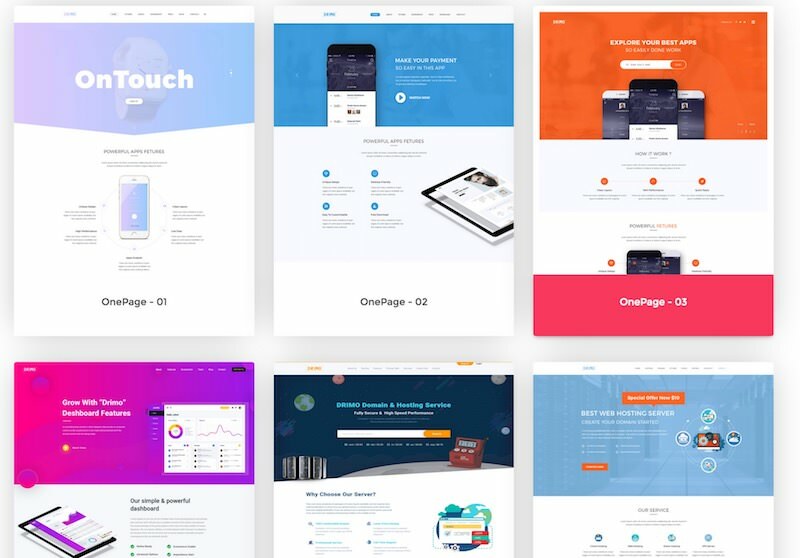 King is a template for building portfolio and landing page websites. It has a unique design and features like a drop-down menu and an off-canvas mode for mobile users. 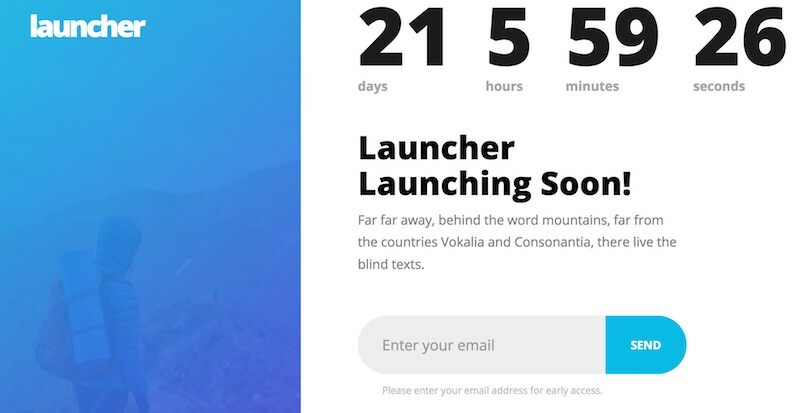 Launcher is a friendly website template, which is entirely responsive and works well for creating a clean and beautiful coming-soon website with a mailing-list feature. 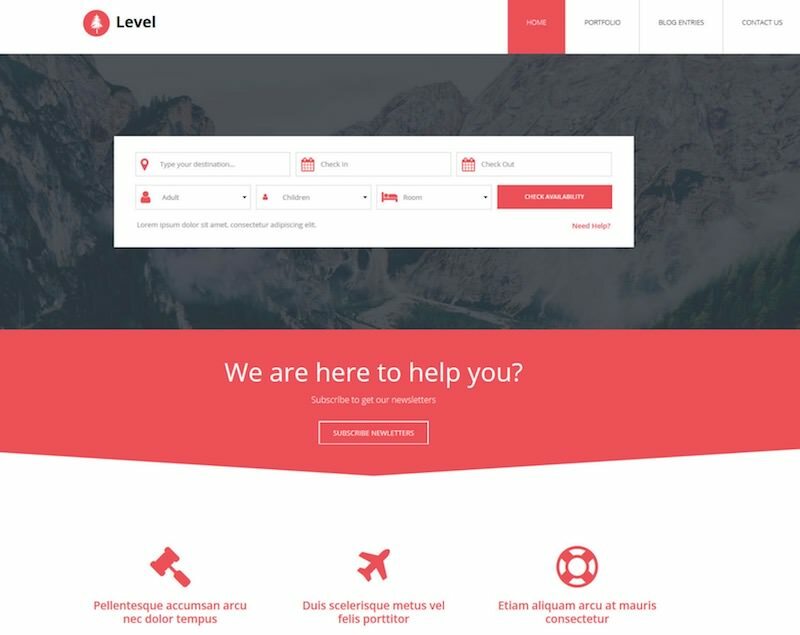 Level is a website template for hotel or travel related websites. Along with other features, it also has a section for making a booking with dates and other details. 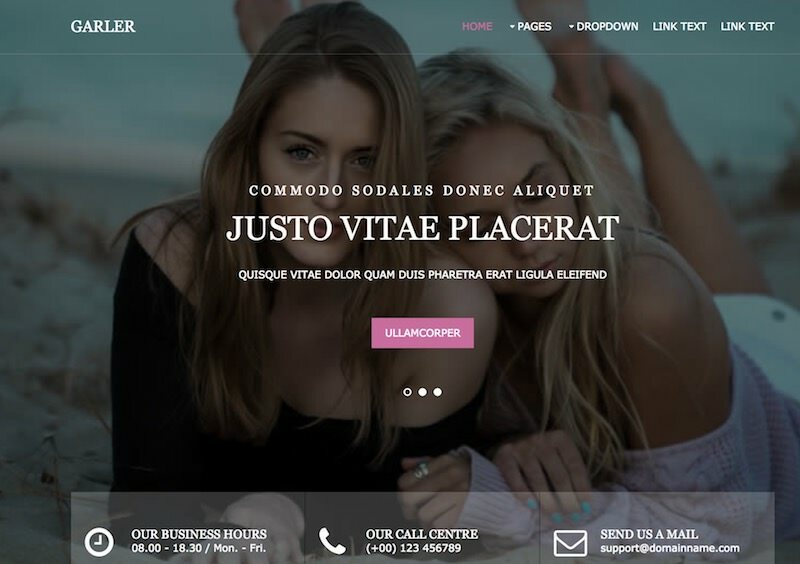 Lhander is a landing page website template, which packs in modern design, web fonts, and few integrations. It is super customizable and works best to showcase products. 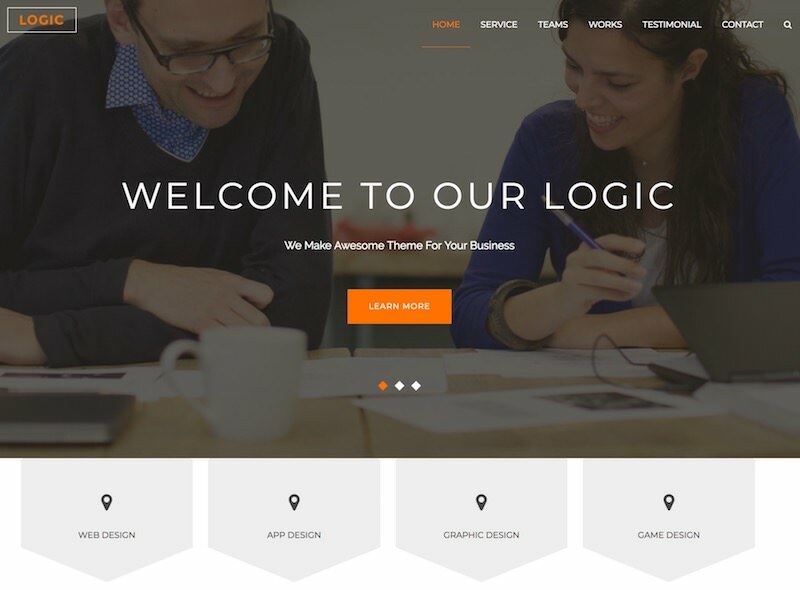 Logic is a multi-purpose website template that is suitable for creating sites for agencies and startups. This colorful template has services, contact, and more sections. 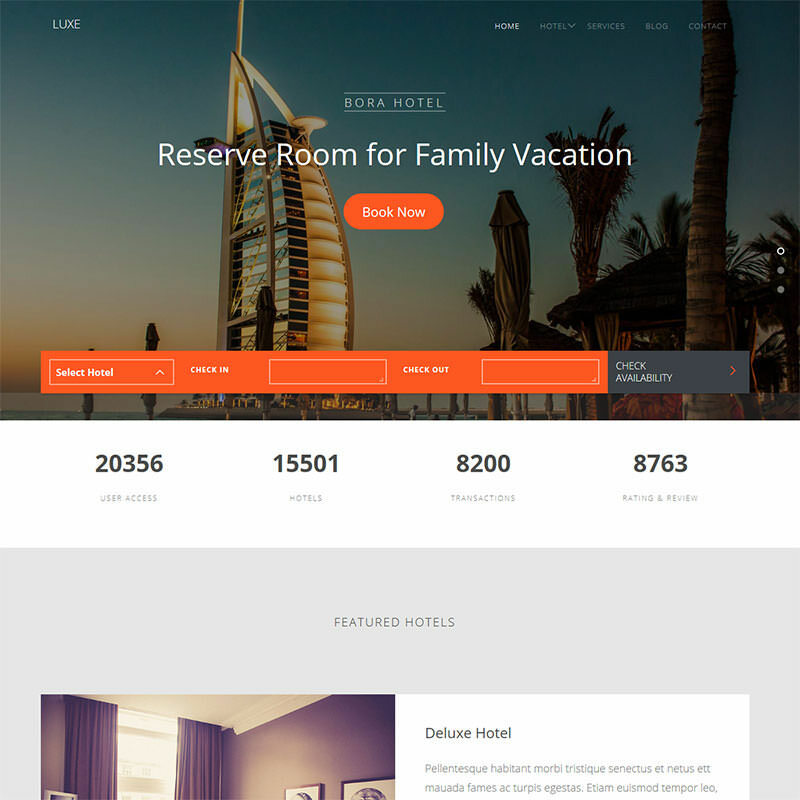 Luxe is an incredible template for hotel or travel websites. Its features include drop down menu, image slider, smooth animations, parallax effect, and much more. 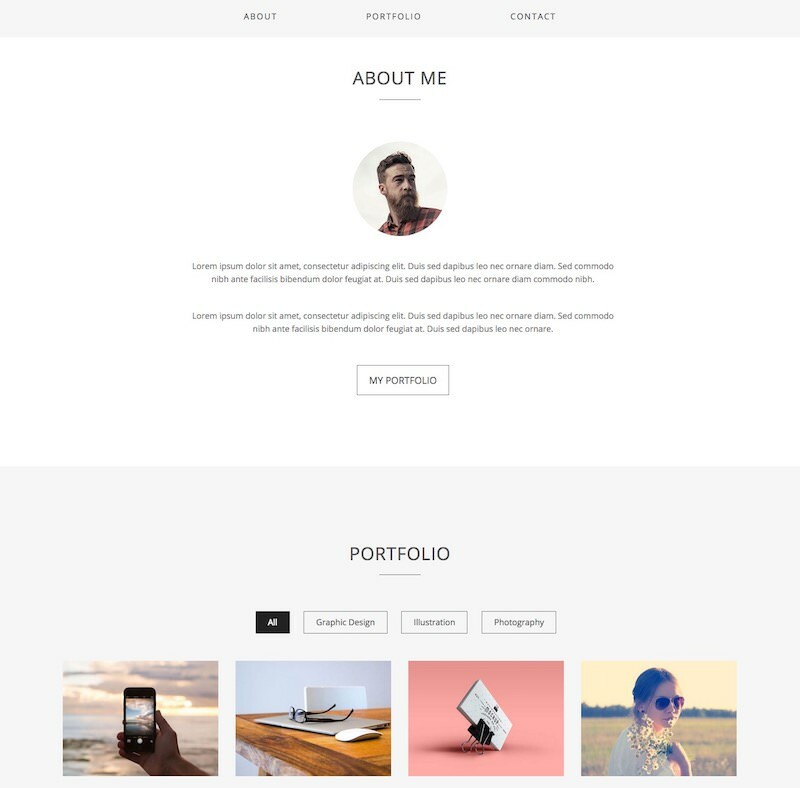 Magnum is a minimal, single-page template for building creative or personal portfolio websites. It has a filterable portfolio, contact form, and About sections. 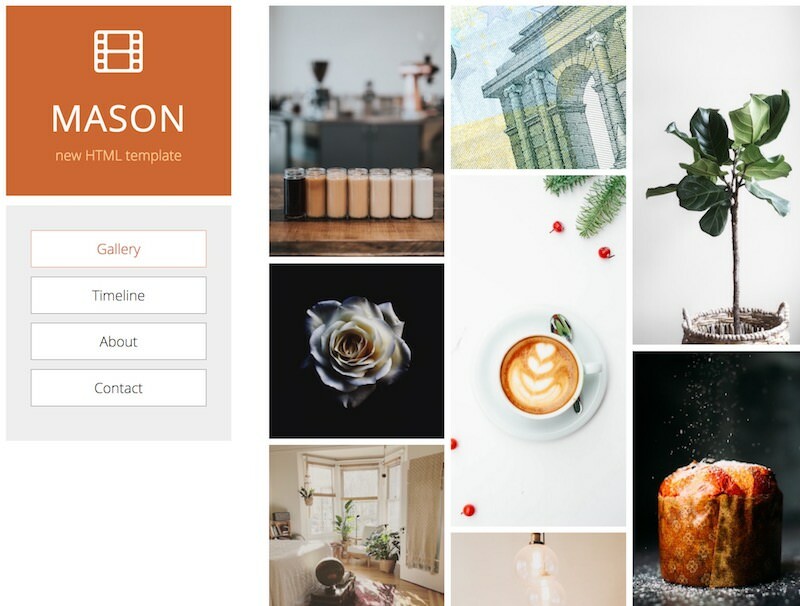 Mason is an orange-colored, single-page template for creating image or photography portfolio websites. It also features timeline, contact, and About sections. Massively is a responsive template with a simple yet attractive design. It has a parallax background, various effects, awesome fonts, social media icons, and a contact form. 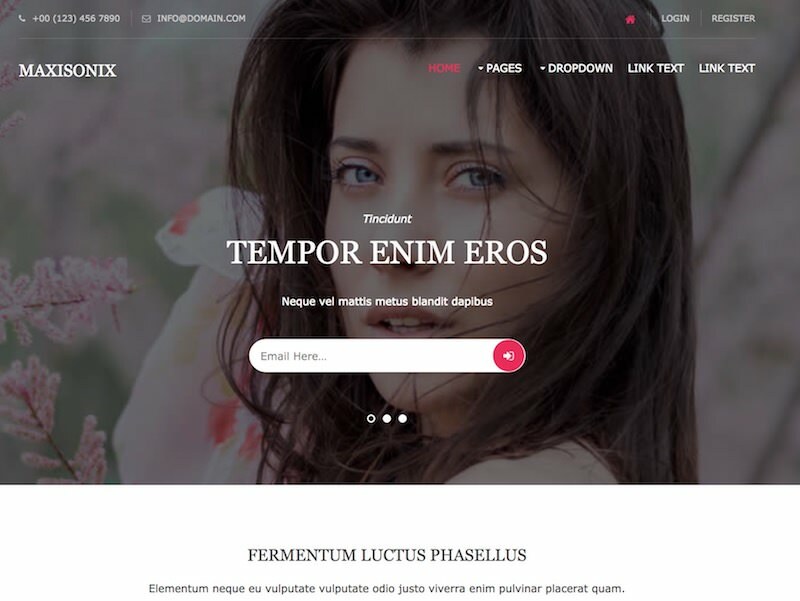 Maxisonix is a responsive template with mixed columns and multiple sections. Its dark-on-light design and various page templates make it appealing and customizable. 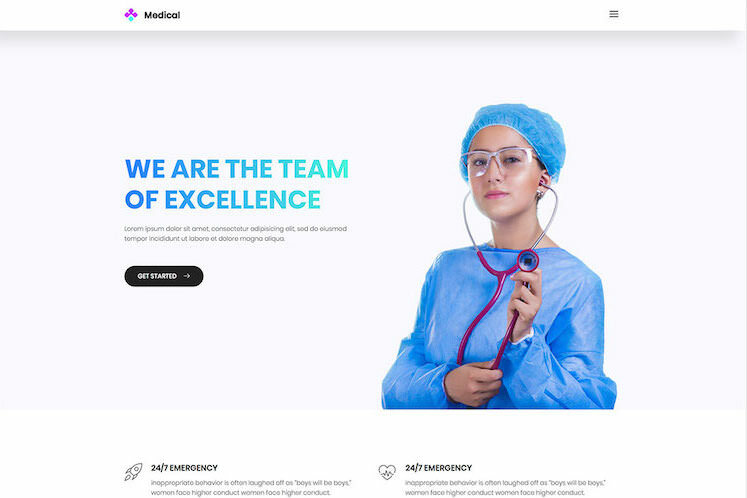 Medical is a website template for healthcare organizations and medical professionals. This elegant template also has an appointment form and a section for the services. 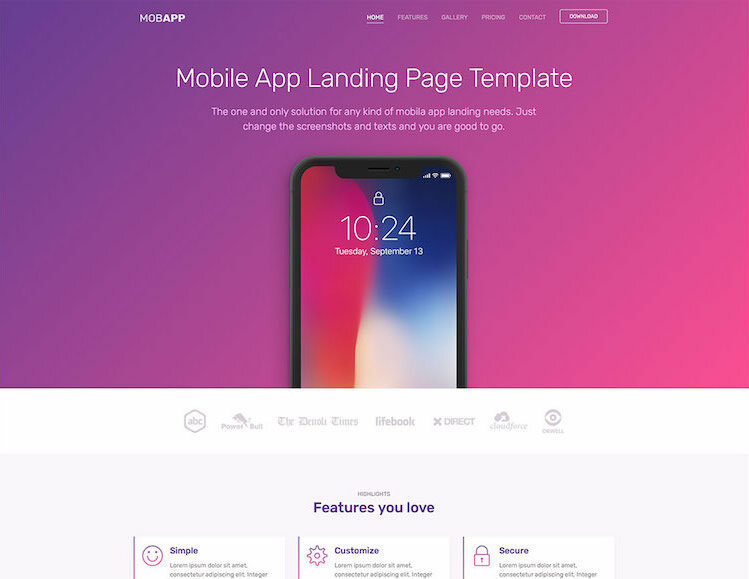 MobApp is a simple and customizable template for creating mobile app landing pages. It has vibrant colors and flexible layout with download and pricing table sections. 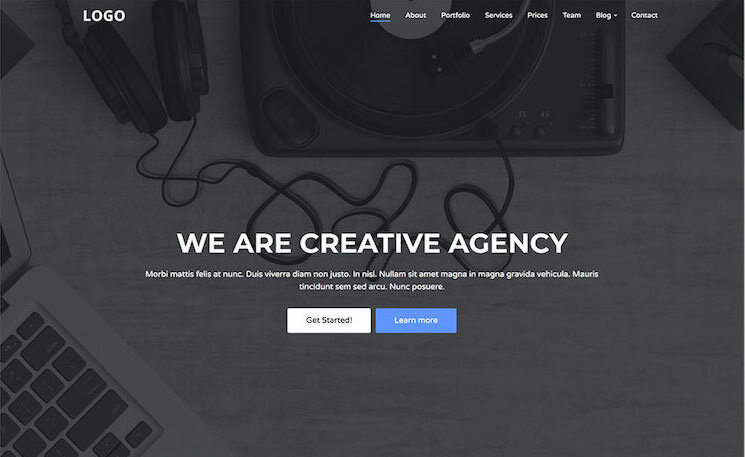 Mosh is a website template for creative agencies to showcase their work and services. This advanced template has a full-width slider and a filterable portfolio section. Phaseshift is a colorful template with a soft bokeh background, flat icons, and vibrant photographs. It offers popular sections to create a vibrant and beautiful website. 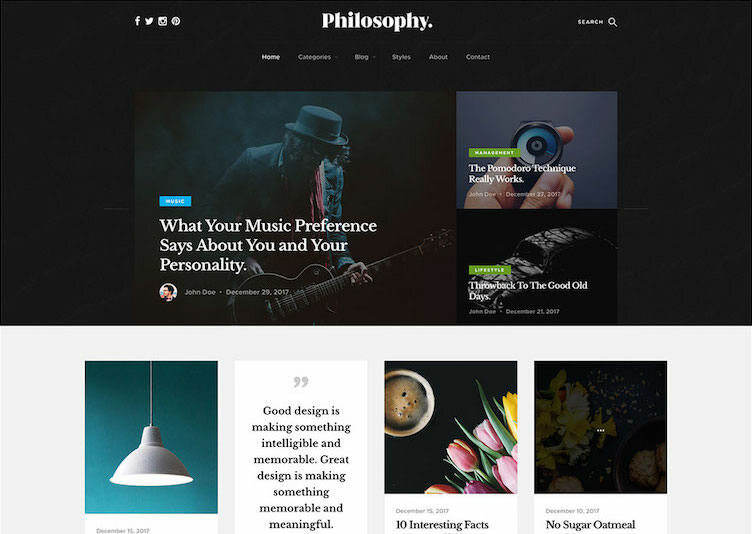 Philosophy is a template for creating blogs with a grid layout. It has several inner pages and social media buttons with newsletter subscription and many more sections. Photo is a responsive website template with multiple columns in masonry style. As its name suggests, it is suitable for building art and photography portfolio websites. 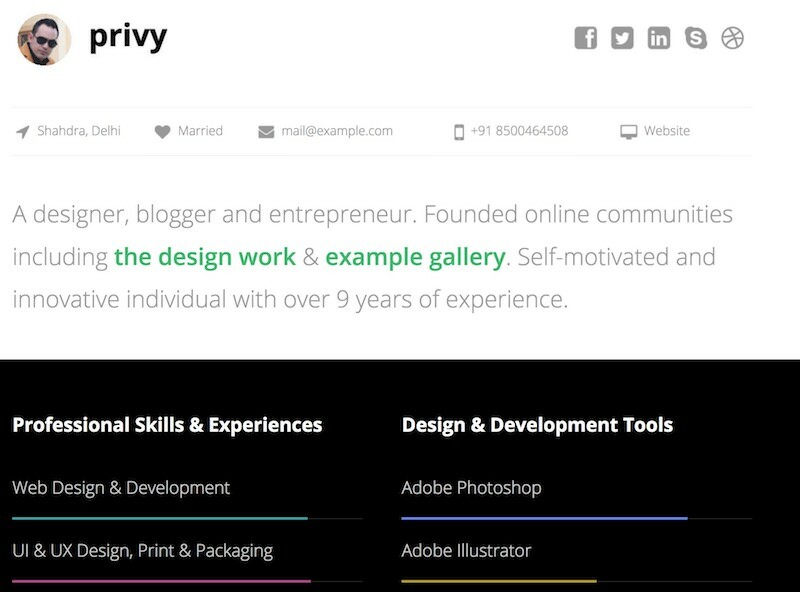 Privy is a web template to create a personal portfolio, but it can work for building corporate websites as well. Moreover, it has terrific grid style and color scheme. 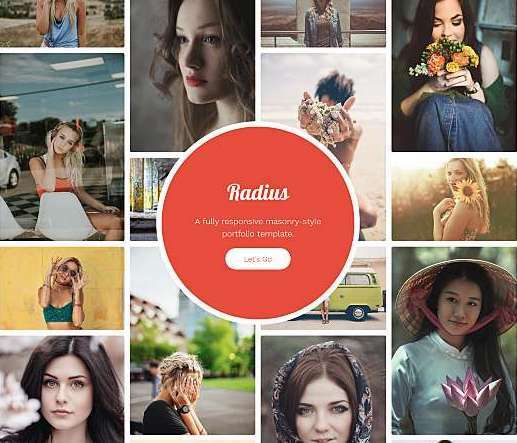 Radius is a commendable photo gallery template with a masonry style grid. Its layout is available in multiple colors, and it works stunning to showcase arts or photos. Road Trip is a website template suitable for creating portfolio and presentation purpose websites. It has various scroll effects, contact me form, and social media icons. 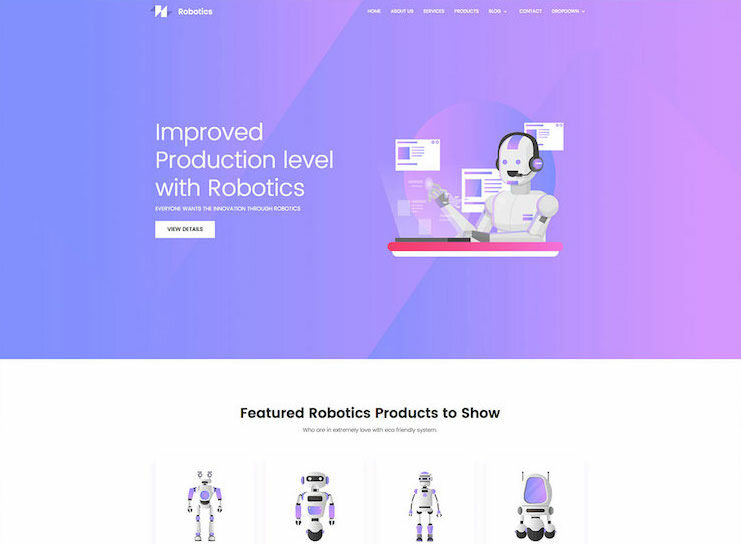 Robotics is a responsive, multi-colored template, which is designed and optimized for creating stunning websites. I liked that it has a clean and modern interface. 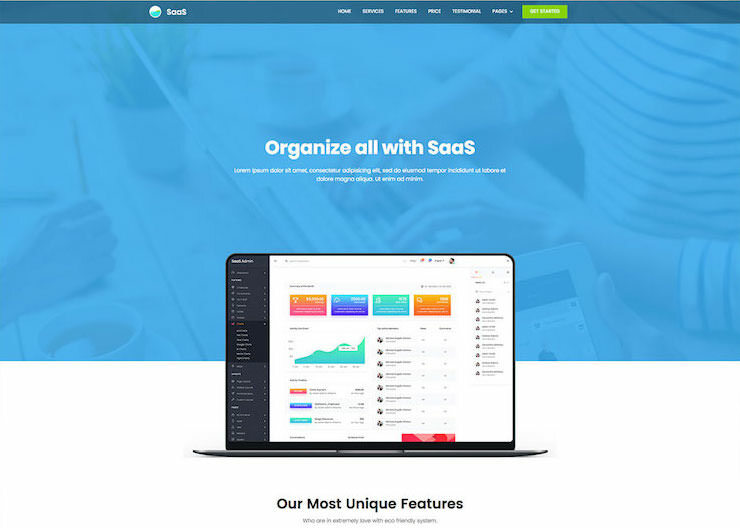 SaaS is a retina-ready web template with attractive layout and features including a call-to-action section, pricing tables, testimonials, and many more sections. 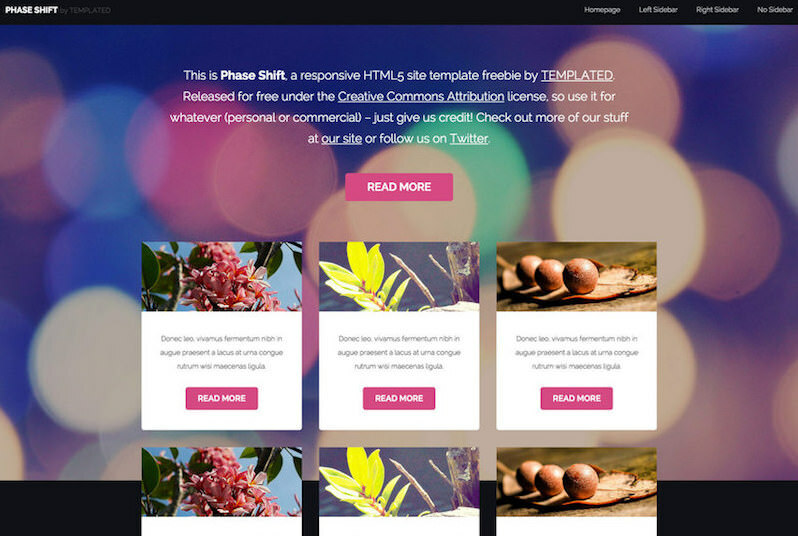 Sierra is a professional and elegant website template. It has features like a multi-color template with bright color layouts to create excellent websites for businesses. 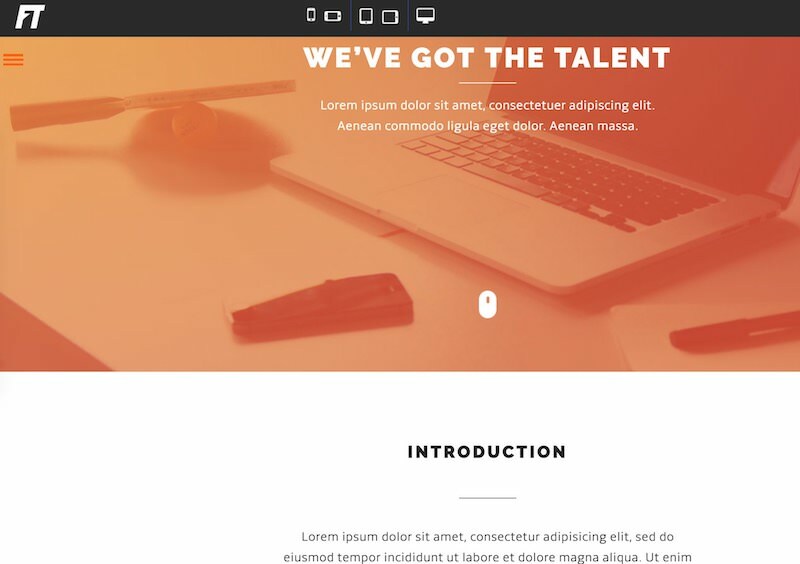 Splash is a retina-ready template with a modern design. It has wide layout, premium sliders, parallax blocks, eight homepage styles, and video background support. 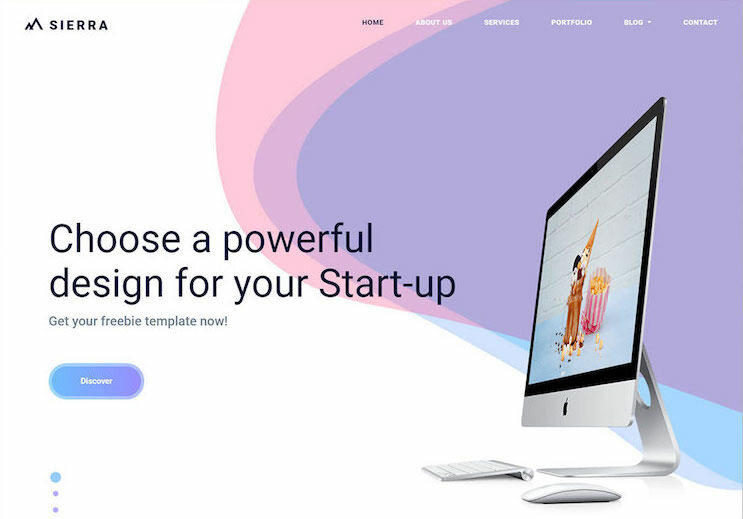 Startr is an interactive landing page template, which is retina-ready, easy to customize, and features scrolling animations, parallax backgrounds, and more features. 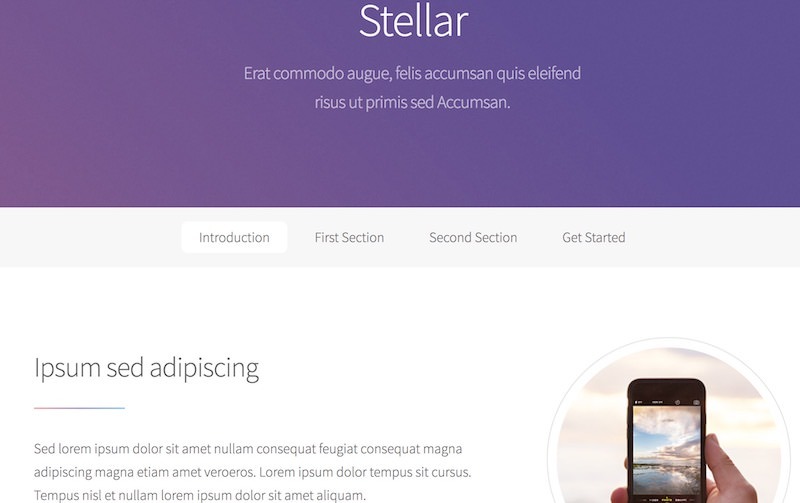 Stellar is a premium, colorful, and responsive template. It has multiple pages with a nice color scheme and various sections to create fantastic landing page websites. 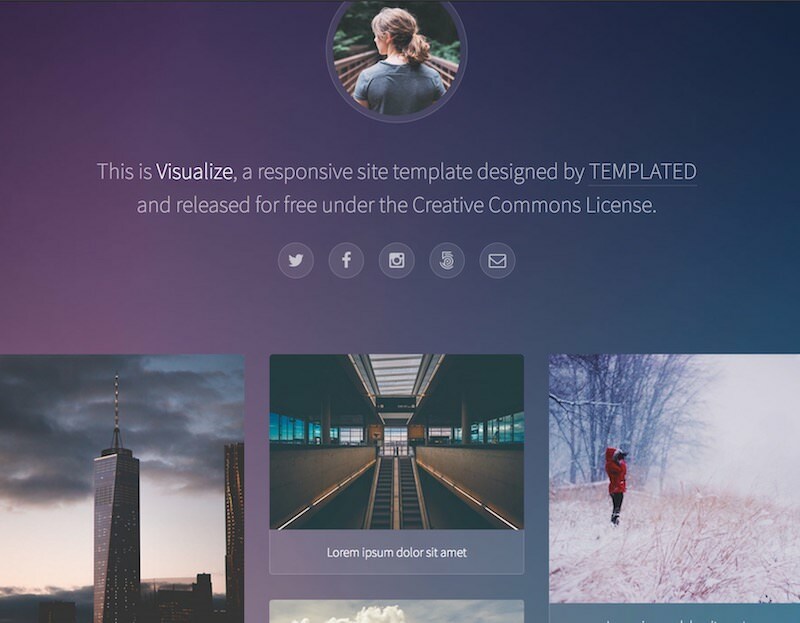 Visualise is a single-page portfolio template with a functional lightbox. This one column template is available in white and purple color, which looks quite professional. Zeta is a template for creating websites for marketing and web designing agencies. It has a contemporary design and features progress bars, testimonials, and more.